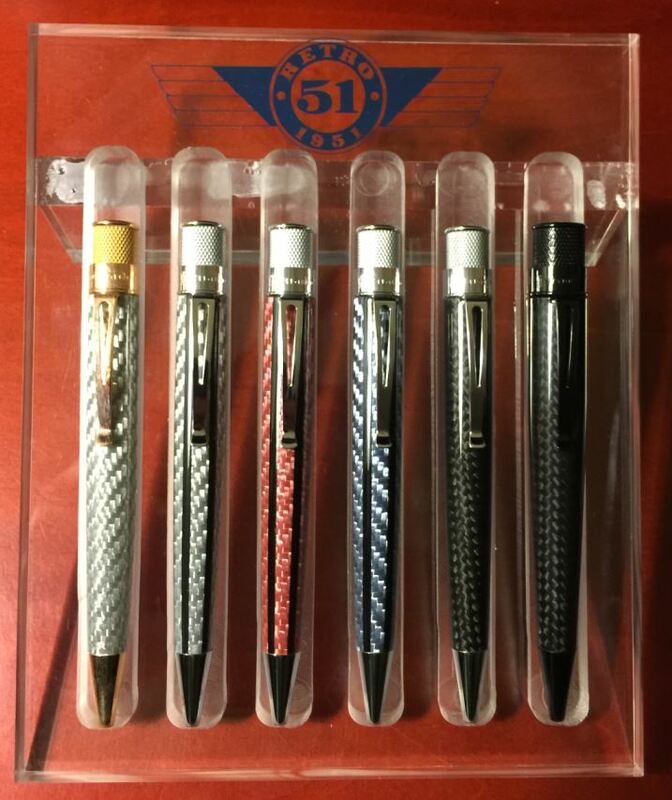 Q&A with Retro 51 Collector Aaron C.
A big thanks to Aaron for taking part in this question and answer! We hope our fans enjoy these posts as much as we do. Aaaron: I have 800+ pens and many desk accessories, games and displays. I am only a handful away from owning at least one of every Retro 51 Tornado model ever made (excluding the one of kinds). I actually fear the day I do have them all, because it is so much fun finding ones I don’t have. 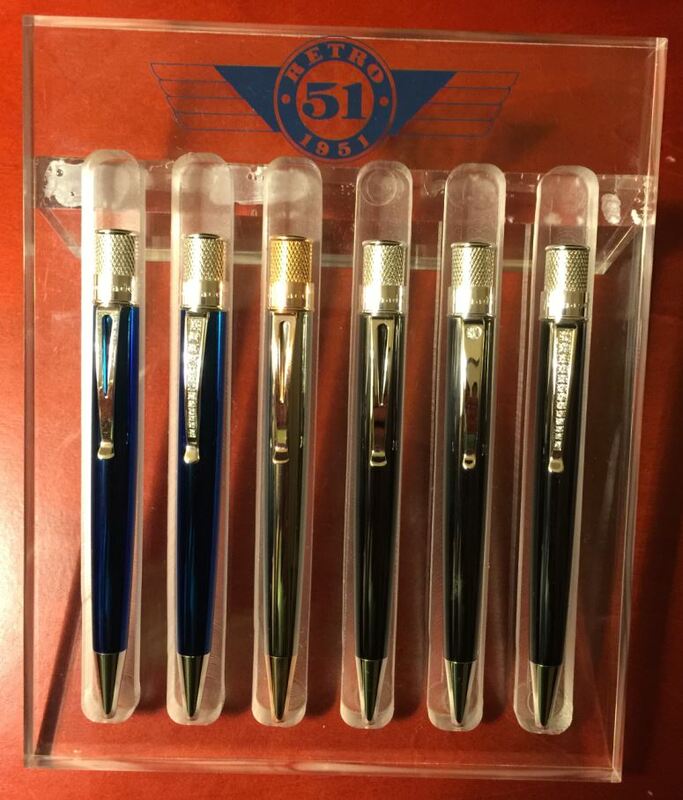 I purchased my first Retro 51 Tornado, which was a “Denim” lacquer roller ball, at a Franklin Covey store in the mall in San Jose, CA. 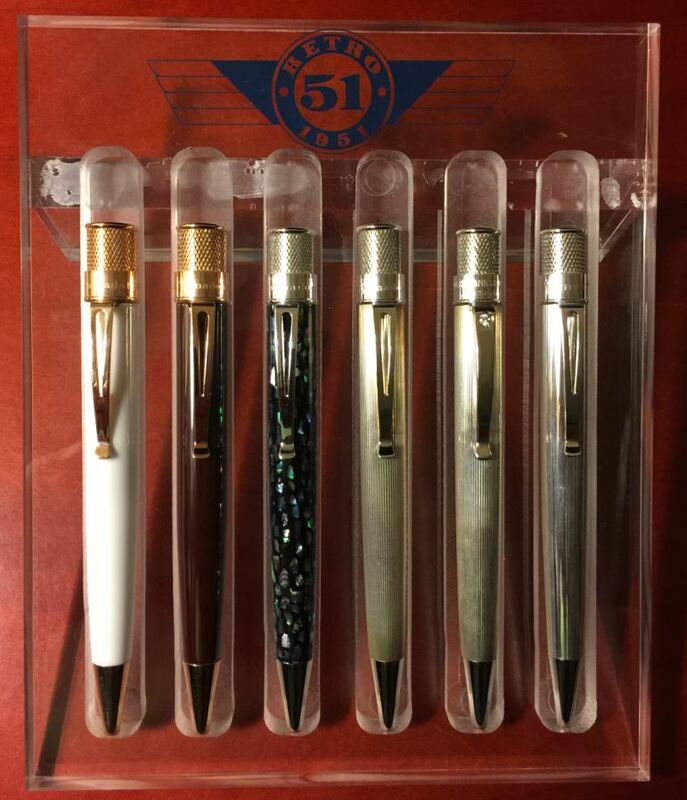 Retro 51 Tornado pens are well designed, high quality and offered at a great value. Naturally I really enjoyed my first Tornado and all the others since. The other attraction is the story behind the Texas-based company. If anyone out there hasn’t read the Pen World article , I highly recommend it. My favorites are the Ceramics, Fiberglass, Carbon Fiber, Woods, Cioppino (Abalone shells), Acrylics, Atomic Series (PVDT Plating), Anitque Metalsmith Series and Sterling. Sorry for going way, way past 5. Shortly after I bought my first in 2006. 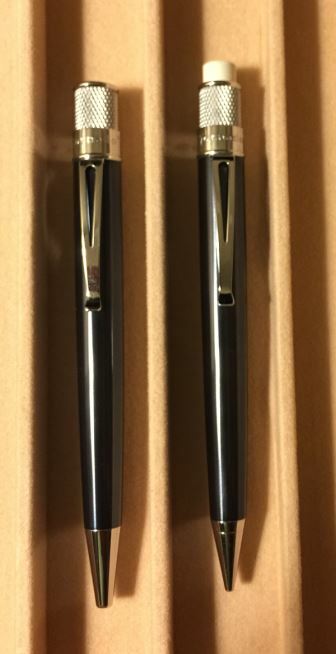 A pen I like in so many cool finishes and themes, I had to have more. I started my collection by adding the Franklin Covey Denim pencil, then the other lacquers, then the Disco Groove Writer. It just continued on from there. The Poppers are especially fun to hear about since they come at random times and are a complete surprise. 4. Musical Series: music notes, musical instruments, guitar fret, piano keyboard, etc. We have more Q&A’s with Retro collectors coming soon. If you have a large Retro collection please contact us via our Facebook or Twitter accounts. Fantastic collection! Where did you get the Fibreglass ones? I’d love to add one of those to my growing collection! Lisa, the Fiber Glass designs were in the Retro line in 2006-7. 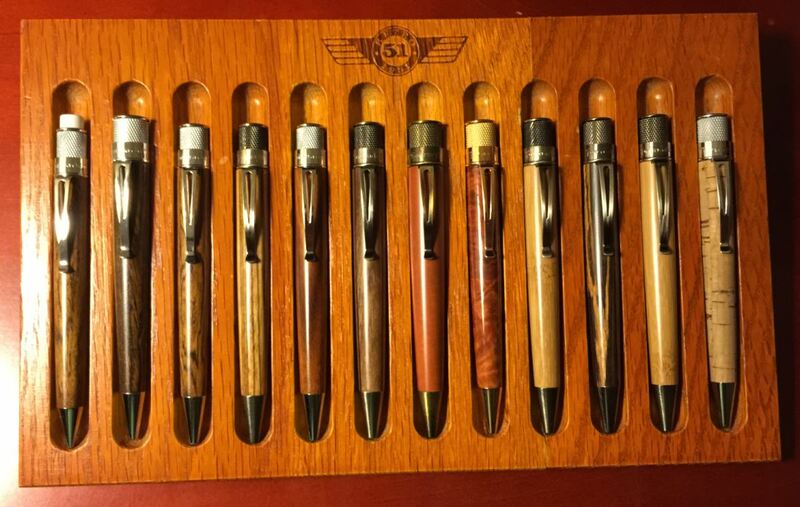 The best bet for finding these would be ebay.com, local pen shows or on a pen forum like http://www.fountainpennetwork.com/ Thanks for writing.